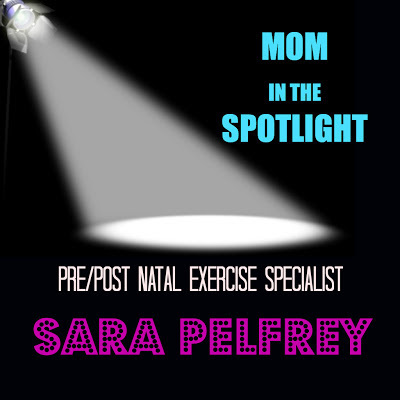 SARA PELFREY is currently an American Fitness Professionals Association (AFPA) certified Pre/Postnatal Fitness specialist with a BA degree in dance from Coker College. She is a proud wife, and the mother of three lovely children. During her performing career in the Charlotte, North Carolina area, Sara danced with Martha Connerton's Kinetyx and Kinetic Works, and with Caroline Calouche and Company. She also performed at the Greensboro Fringe Festival and choreographed for Greensboro Dance Theater. Sara brings to her pre/post natal training work over 20 years of both study and teaching experience in the fields of dance and fitness. My oldest is a boy, and he is 8. Our middle girl is 6. And the dimpled-monster, a girl, is 3. What were your plans for working once you became a mom? Hmmm. Plans and motherhood are sometimes two opposing forces. I was still dancing when we had our first darling. Nothing like puking in the parking lot just before an early morning performance. My plan was to continue dancing and teaching as much as I was able. I found it really difficult to blend my two worlds. I really enjoyed being able to be at home with my children and getting the break to stretch my muscles (both physical and mental). Being pregnant every other year for 6 years pulled me further away from the dance world and deeper into the raising-responsible-children world. By the third baby, I decided to stay home full time and wasn't really sure what I would do next. I wanted to do something that I was passionate about and that allowed me the flexibility to be available to my family. 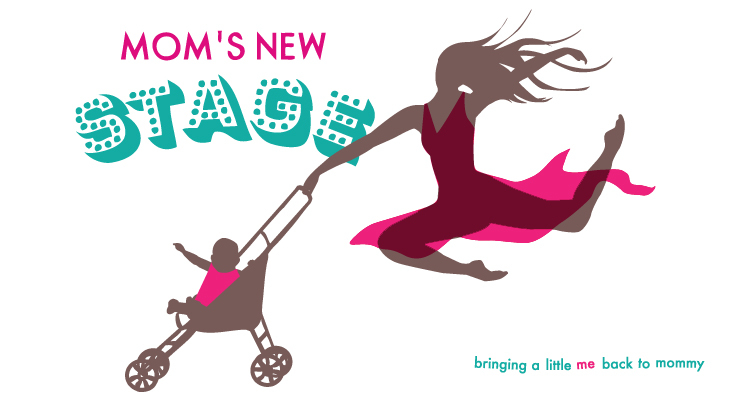 Tell us a little bit about Moms 2b Fit. As I was working out through each of my pregnancies, I found the lack of information on pre/postnatal exercise frustrating. I had a Dr. tell me I could START exercising at 12 weeks after my second pregnancy. I had a performance scheduled 12 weeks after my second pregnancy! I had spent my life learning about body mechanics, anatomy, fitness, dance, etc. and I knew that exercise would be paramount to keeping my sanity and functioning as a new mom. It began as a passion of mine and became a career choice. I wanted to offer other women access to the information that was lacking for me. Through Moms2bfit, I work with women to develop individualized fitness plans to address their specific needs and to overcome the many obstacles they face during pregnancy. I help women to safely retrain their core and pelvic floor, correct postural issues and loose weight after pregnancy. I also work with women they may have had children years ago but need to address a Diastasis Recti. Moms2bfit also provides support, encouragement and advice on nutrition, giving moms the resources they need to take charge of their and their babies health throughout the journey. 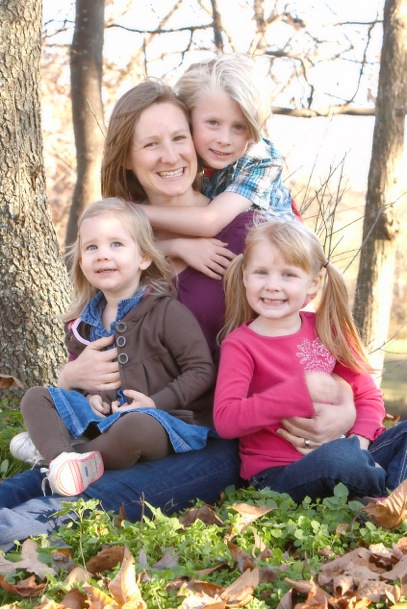 What would you like to tell the medical and/or fitness community about diastasis recti? Diastasis recti is a thinning or separating of the connective tissue between the rectus abdominal muscles. The condition is a common occurrence for women who have had multiple pregnancies but can occur in men as well (think beer gut). Traditional abdominal exercises like crunches, sit-ups and planks put added pressure on the connective tissue, further separating the muscles. If you have a client, whom you suspect has this condition, please advise them to be checked for Diastasis Recti by a professional. They should immediately discontinue any exercise where they are unable to keep their transverse abdominals engaged (pulled up and in). To equip women with the information, attention and support needed to safely and effectively exercise throughout each stage of pregnancy and postpartum recovery, empowering them to take on whatever challenges they will face in their many roles as moms. I am currently ironing out the details with a local birth center to provide free diastasis recti checks. I'm so excited to educate women and to provide them with this service! Your best FML Mommy moment? Some people will say that 3 kids is easier than two. That sounds to me like saying it's easier to juggle three flaming torches than to hold one in each hand. What's your take on it? I think it is not necessarily how many kids, but how close together they are. I felt that having a 2yr old and an infant was the hardest, since they were both almost entirely dependent on me. By the time I had 3, my oldest was 4.5yrs old and actually able to help with getting a paci for the baby or dressing himself, etc. I had done the baby thing twice by then, so I wasn't as stressed about every little thing. The one thing that gets more hectic with more children, in my opinion, is schedules and trying to get everyone to everything. That is a whole new kind of juggling that I am currently coping with. What TV or movie could you never get enough of? Mad Men…with a cocktail, of course. Give your self a break, but don't give up. Set goals for yourself and if you aren't able to get in the hour workout you planned, fit in 10 minutes of activity. I think moms are EXPERTS at rolling with the punches. Moms2bfit Valentine's special! Love yourself and love a friend. Sign up for a core session with and buddy and you each receive $10 off. Now through the end of February! To exercise with Sara visit moms2bfit.com! >> Sara brings to her pre/post natal training work over 20 years of both study and teaching experience in the fields of dance and fitness.